Nova Center of the Ozarks strives to make possible the potential for positive change in the quality of life for every individual with a developmental disability. has always expressed his interest in taking college courses, and we are excited to announce that Jason was able to enroll in the Fall 2017 semester at OTC. In prep for attending classes, Jason went to the AEL classes at OTC to get in the hang of attending classes and doing homework. Jason is currently enrolled as a part time student and is taking computer drafting classes. came to placement with Nova Center of the Ozarks in April 2017 after choosing to live in an ISL with two other roommates. He came to the ISL grieving the loss of his father and main support system who had passed away just months before. During his time with Nova Center of the Ozarks, Jamie has experienced tremendous growth. Nova staff have supported him with community volunteer activities and assisted him with finding competitive employment within the community. 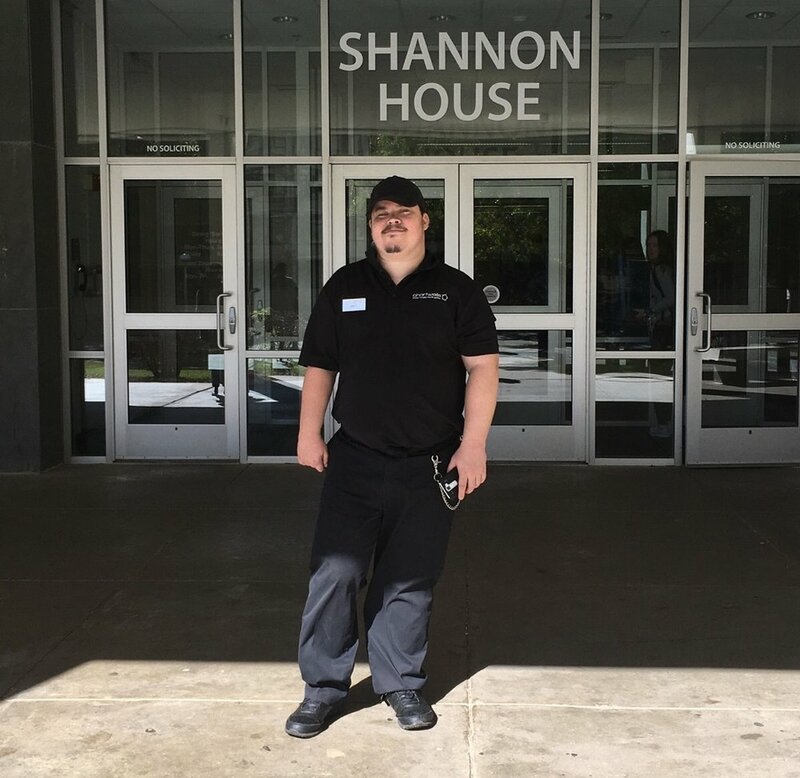 Jamie is proud to say that he has recently secured a food service job at Missouri State University! He has been employed for over a month now and recently received his first paycheck! For individuals with Autism and other behavioral needs, music is a creative medium that offers a motivating and safe way to make social connections through a mutual shared interest. If you are ever given the pleasure of meeting one of our community support individuals, Destin, you will inherently notice his unique attraction to music, especially anything he hears on the radio. Destin has an amazing memory and vocal talent. When in his presence you will most likely be graced with hearing a perfect rendition of one of the top tracks that he has heard on Morning KIX 102.5 with Randy and Kaylee. This Fall, Destin’s team organized a trip for him to meet Randy and Kaylee at the radio station during their morning broadcast. The duo asked Destin if he would like to be on the radio and he eagerly accepted. Dusty, one of Nova’s day service’s individuals, has always expressed an interest in finding opportunities to volunteer or work in the community. In 2016, he found the perfect place to volunteer while doing what he loves, jumping at Sky Zone. Dusty volunteers once a week at Sky Zone supervising jump zones, cleaning and monitoring the dodgeball games. He is working towards potentially gaining competitive employment with the same company. In February 2017, Dusty was chosen as Sky Zone’s Employee of the Month. One of our day service’s individuals, has always wanted to be Firefighter. He recently had an amazing opportunity to live out part of his dream by doing a follow along with the Battlefield Fire Department. He learned how to run a hose, open a fire hydrant, put on all the gear, and participated in some physical trainings. In addition to learning about all the equipment and the trainings, he was able to ride along during a medical emergency. The Battlefield Fire Department was so impressed with Isaac’s abilities that they have asked him to come back sometime in April. When Isaac isn’t thinking about being a Firefighter, he works at Texas Road House, as a Mucker. This job is one of the dirtiest and most physical jobs at the restaurant, but he loves every minute of it. His favorite part of his job is “interacting with his coworkers and building relationships.” Isaac likes to work hard and he can’t wait to learn more.